Wound with Awg 40 magnet wire. 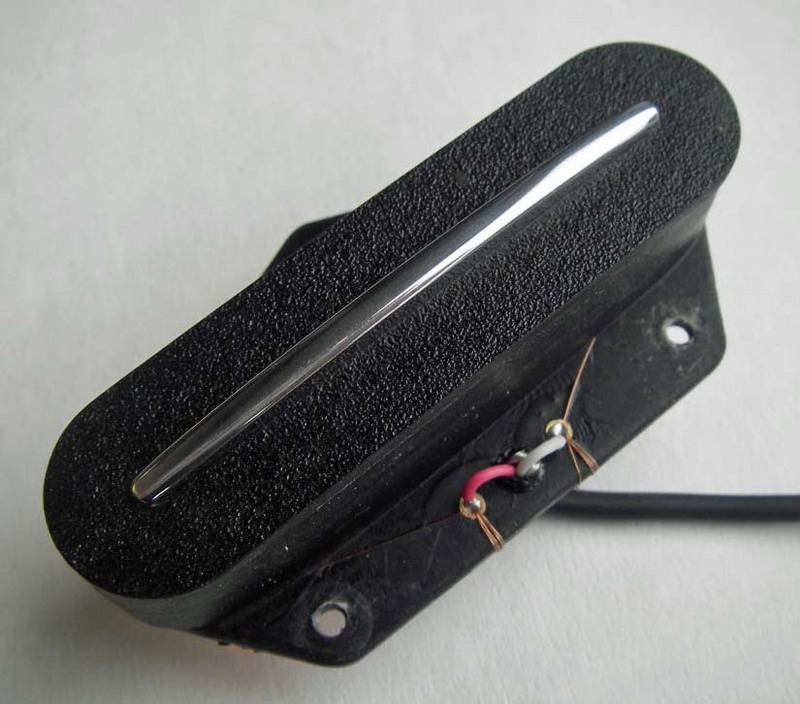 This pickup uses a combination of two moderate big Alnico 5 bar magnets, which are cut to fit the bottom of the pickup. 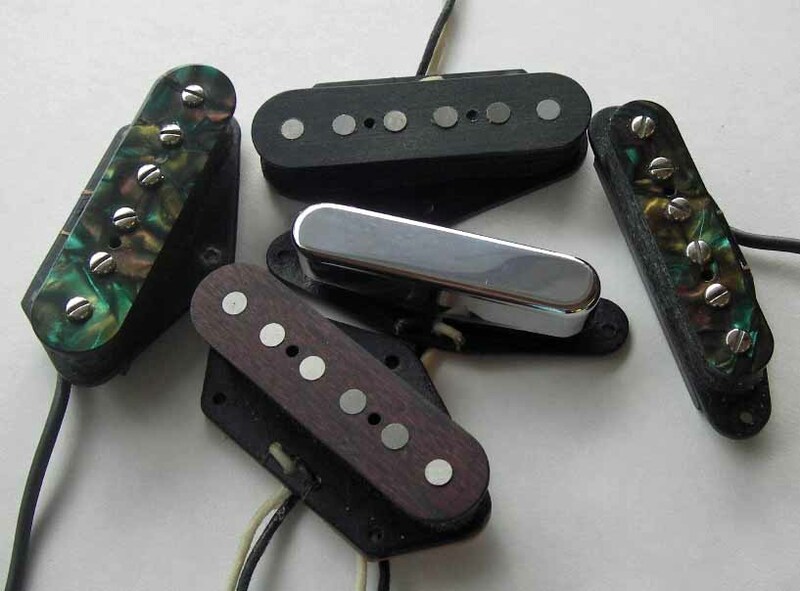 The magnets are gaussed full to produce highs strong enough. 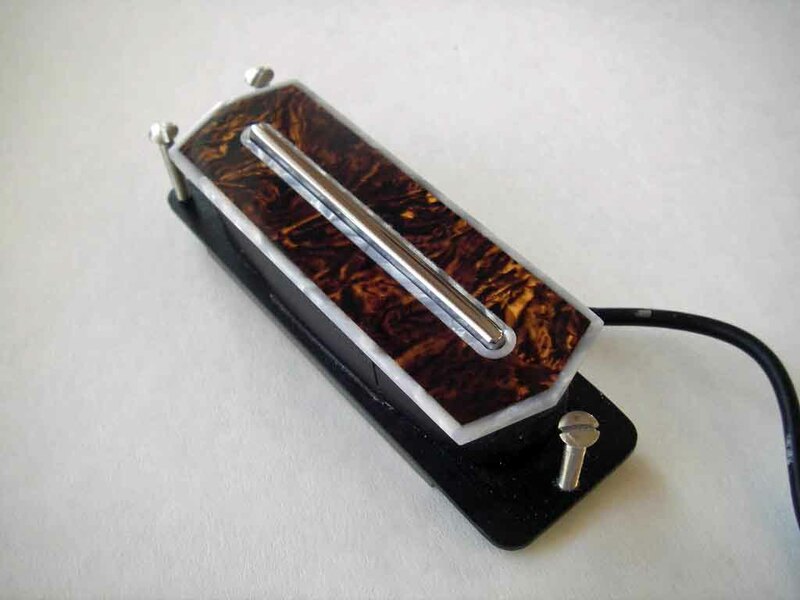 The sound overall is fat but bright and the pickup combines great with TCC-Neck pickup. Additional ground wire is needed.